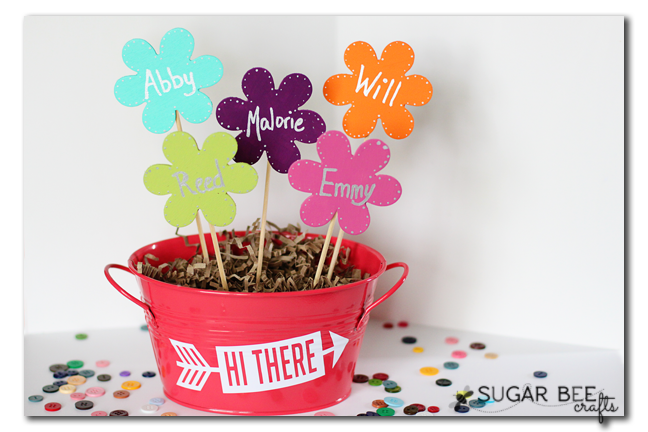 With just a few supplies, you can create a fun Wooden Flower Bouquet that will stay bright and cheerful season upon season. 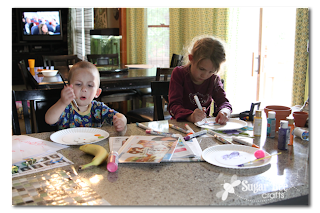 And you can even involve the kiddos! This is a perfect Grandmother gift – to showcase all her amazing grandchildren. 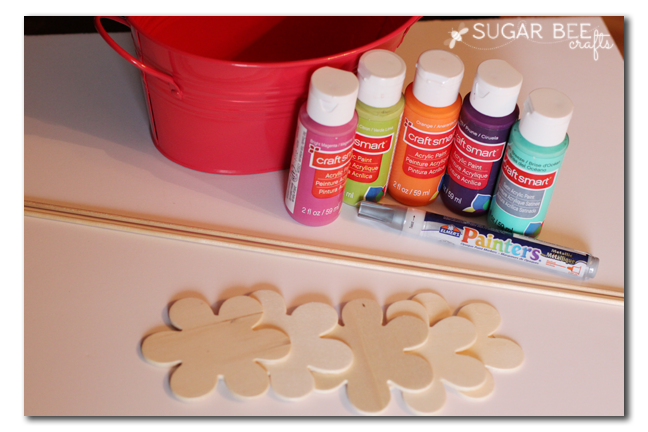 First you will paint the wooden flowers your color of choice. This is a great step for kids to take on – you can’t really mess it up since it’s just solid painting. 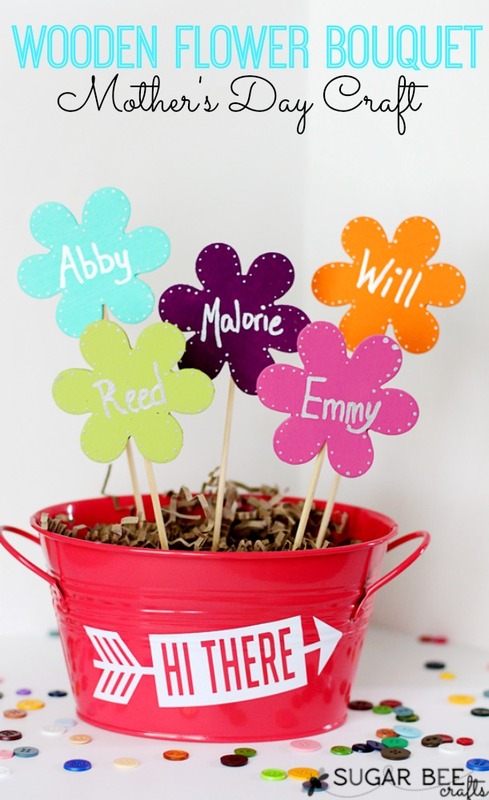 After that base color dries, use the paint pen to write on each child’s name. I used a metallic silver and love the shine of the letters. Now you’ll need to prepare the stems. You can paint them as well – I chose to leave mine natural. 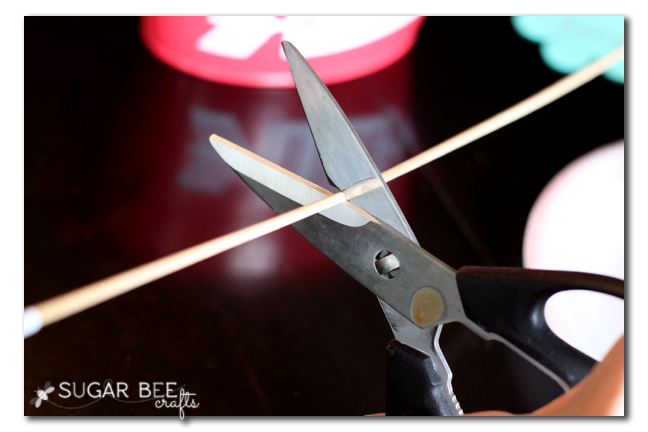 With thin dowel rods you can cut them with kitchen sheers, so you don’t need any special tools. Cut to desired length. 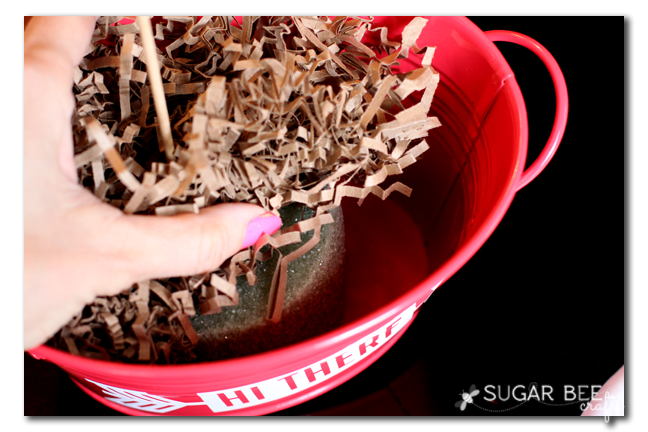 My bucket was filled with a piece of foam and then paper strips. 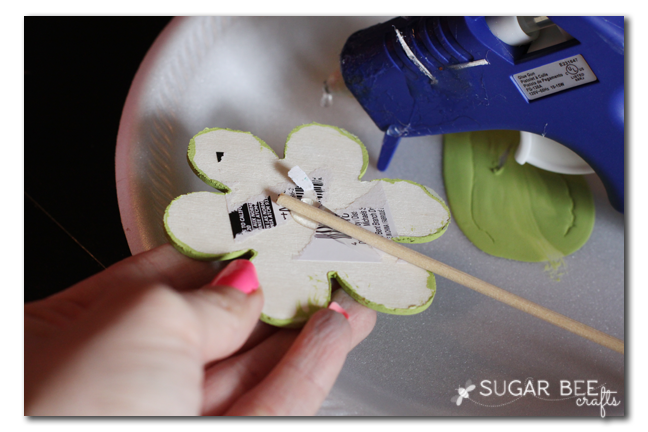 The foam gives the dowel rods something firm to stick into and the paper adds some cuteness. You can find what works best for you. 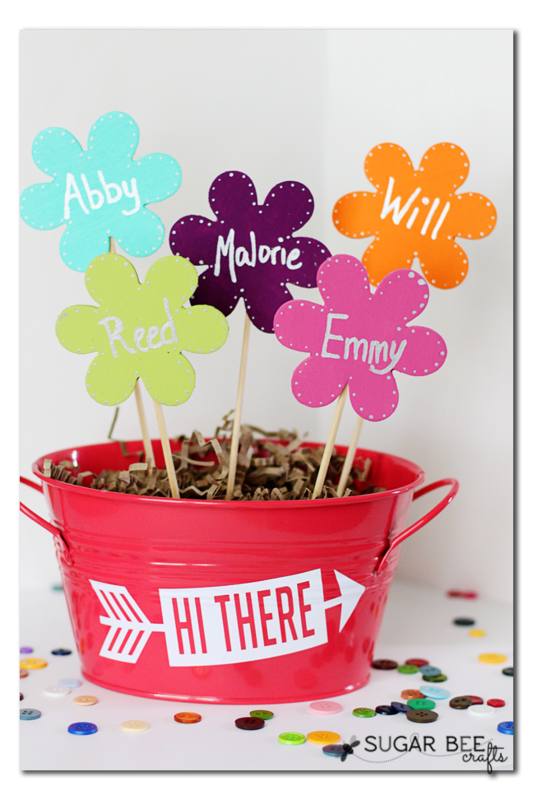 You can also embellish the bucket with vinyl. That is all there is to it! 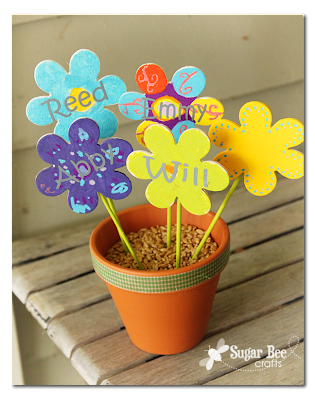 Any grandma would be excited to receive a Wooden Flower Bouquet of grandchildren – it’s so fun! Another idea if there are lots and lots of grandkids is to make a whole set. I did this for Trevor’s mom – – he’s one of 9, so each sibling’s family got it’s own pot, then it was a set of 9 pots with all the grandkids planted to their family’s pot. Super cute! I wish I would have thought to take a picture of that idea. 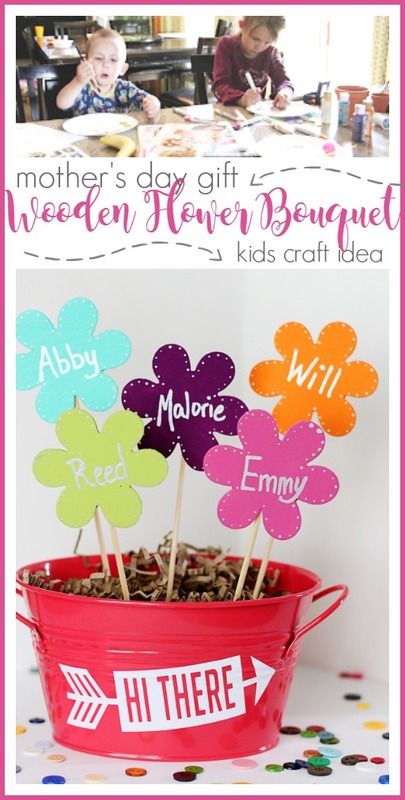 And have fun making your Mother’s Day Craft – Wooden Flower Bouquet! What a very pretty flower wooden craft! I love it!